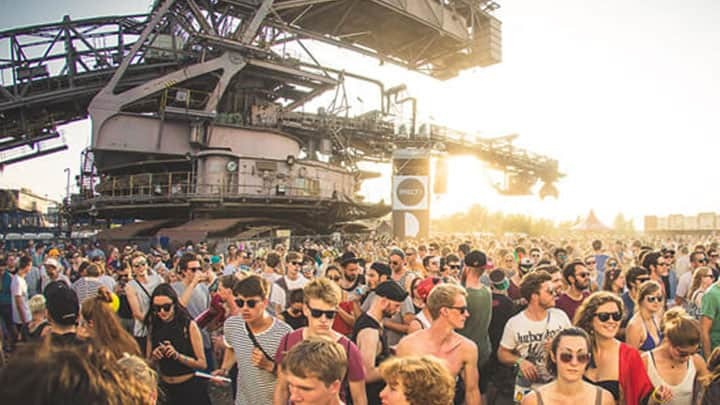 The Maximal Bustrip MELT Festival is going wild for the 8th time this year. For years now, this is the most pleasant bustrip to our Ferropolis. Hop on! For more MELT updates and info attend our Facebook event! 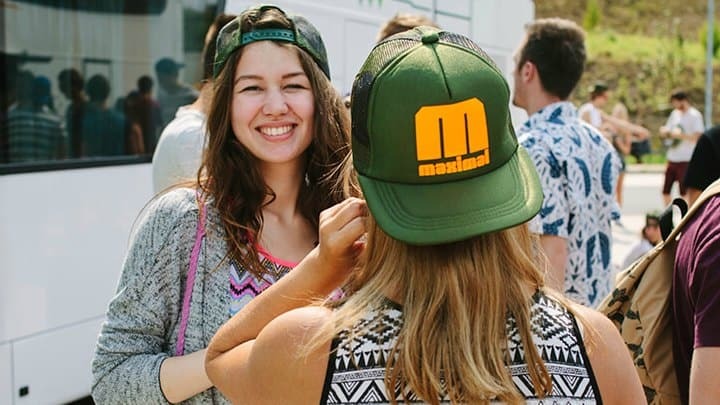 Did you know … MELT Festival was the first festival we attended with Maximal? Because it all began here, we will always have a special place in our hearts for MELT. Not without a reason. At MELT Festival there are no limits. One moment you are watching a live band performing on a major stage among 10,000 other party people, and the next you are lying on your inflatable crocodile in the lake next to the campsite to cool off. Some go on day and night on the Sleepless Floor, where the party in 2018 went on non-stop for 90 hours straight. Others take a nap so they can catch enough sleep to be wide awake for their favorite acts the next day. The diversity of the public and the acts is what makes MELT such a great festival. 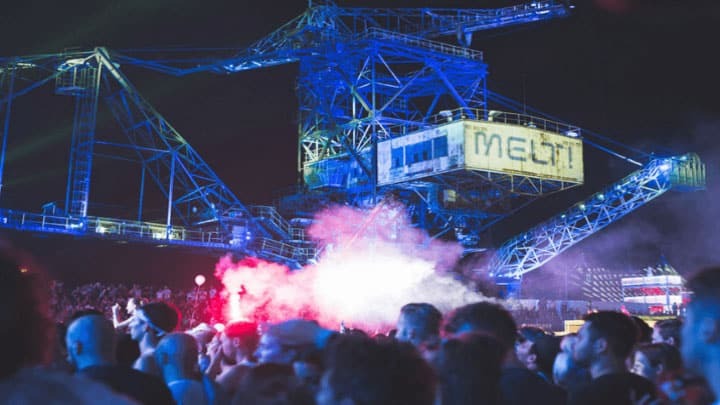 Travel with the Maximal Bustrip MELT Festival 2019. We provide a safe, comfortable and an affordable trip. We leave on time so we will not miss a moment of the festival. You will meet new festival friends on the road. Cold beers on the house make this trip complete. Hop on! 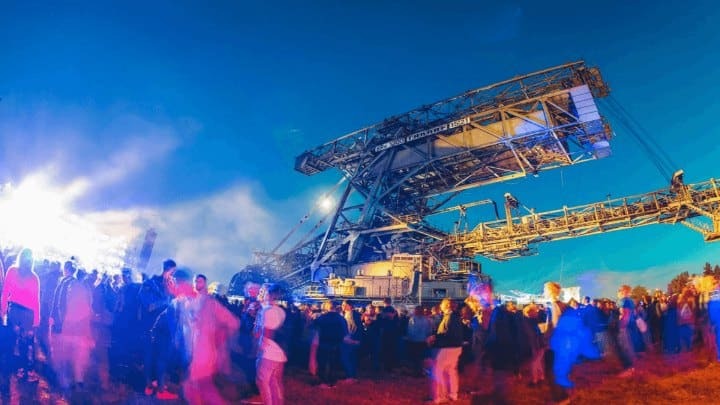 The Maximal Bustrip MELT Festival is going wild for the 8th time this year. For years now, this is the most pleasant bustrip to our eastern neighbours. Hop on! Some go on day and night on the Sleepless Floor, where the party in 2017 went on non-stop for 90 hours straight. Others take a nap so they can catch enough sleep to be wide awake for their favorite acts the next day. The diversity of the public and the acts is what makes MELT such a great festival. We leave on Wednesday 17 July in the evening and arrive at MELT Festival at the end of Thursday morning 18 July. The return trip will depart on monday morning (22.07) at 10:00 AM. We leave on Thursday 18 July in the morning and arrive at MELT Festival at the beginning of Thursday evening 18 July. The return trip will depart on monday morning (22.07) at 10:00 AM. Combine your ideal trip to MELT! and back. Choose from several departure days with outward trips on Thursday, Friday, Saturday and Sunday. Return trips from Saturday morning to Monday afternoon. Stay up-to-date about the Line-up 2019 by following our Facebook event!